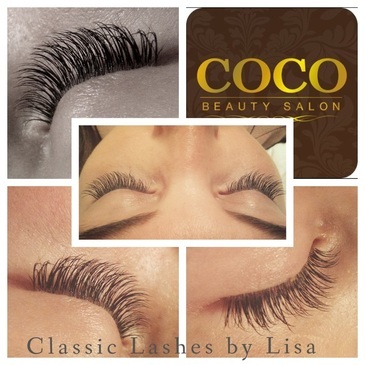 The very popular Classic Lashes, involves bonding one individual silk and synthetic false lash onto one of your own natural eyelashes resulting in fuller, longer natural looking lashes weighing no more than mascara. You choose the length and look you want. 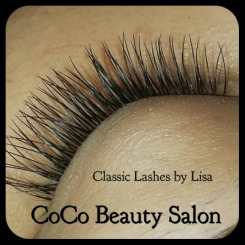 This beautiful set of lashes is one of our most popular treatments at CoCo Beauty Salon. Yes I know its really annoying..... But unfortunately we cannot treat anyone at CoCo Beauty Salon without a patch test being done at least 48 hours beforehand for your own safety and insurance purposes. Your natural eyelashes should not get wet for a minimum of two hours; 24 hours would be ideal to allow the adhesive properly to bond to dry eyelash. Do not use waterproof mascara. Most brands of mascara contain chemical properties and oils that will break down the adhesive. Removing mascara from your lashes can cause the extensions to fall off prematurely as well. Take special care around the eye area when cleansing your face. Gently cleanse the eye area and do not scrub or rub your eyes. Avoid any type of oil-based product around the eyes. Again, the oils will break down the adhesive and cause the extensions to fall off. Resuming with normal activities is ok (i.e. – face washing). When possible, it is best to wait up to 12 hours. Be sure to schedule a relash appointment every 2 to 3 weeks for Classic Lashes and 3 to 4 weeks for Volume Lashes, this will keep your lashes looking full and natural, indefinitely. The average person has around 90 - 150 natural lashes per eye (upper lid) and we aim to lash as many of your lashes as possible for your required full set. Your lashes will look longer, fuller and thicker, over the coming weeks your natural lashes (which have an average lifespan of 90 days) will naturally shed. 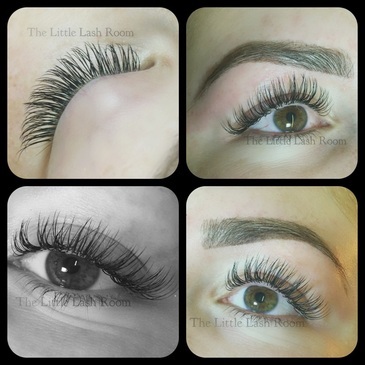 We lose approximately 3 -5 natural lashes every single day, so if you see lashes come away like the pictures below which have the silk lashes attached to one of your natural lashes, this is completely normal. 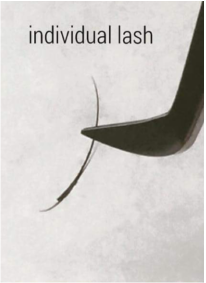 The picture shows correct isolation of the natural lash which allows your lash to shed once it has come to the end of its lifespan.